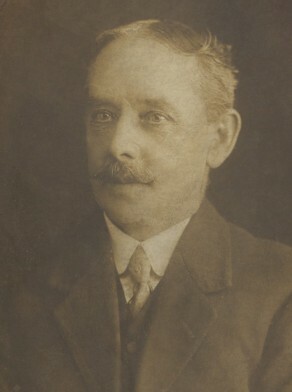 Maurice Brown was born at Kerry, Wales in 1853, son of Thomas Brown. He married Clara Louisa Pillinger in 1879 at Fudderminster, England, and the couple emigrated to Sydney in about 1885. 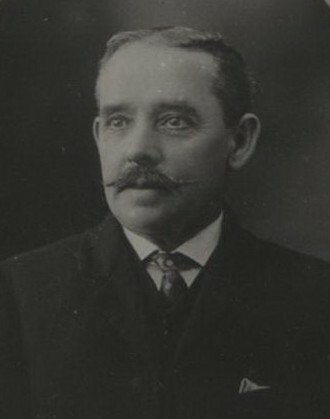 Maurice Brown died at Rockdale on 11 January 1928, aged 74 years. There was a son and a daughter of the marriage. Louisa Brown died on 16 May 1934 at Rockdale. Brown carried on the business of a grocer in Westmoreland Street, Forest Lodge from 1894, and from 1906 to 1917 at 158 St Johns Road Forest Lodge. As a corner store proprietor, husband and wife worked long unregulated hours. Small owner-operated closely identified with the local community. They would hardly prosper unless they respected the forms of the neighbourhood. Like the majority of Glebe shopkeepers, Brown opposed the early closing of shops at 1pm because Saturday evening in 1909, when the Royal Commission on the Saturday Half Holiday was conducted, as Saturday evening was the best trading time of the week. Brown did not give evidence to the commission. But the labour movement supported early closing because shop assistants worked very long hours, 8am to 9pm on weekdays, and till 10pm or 11pm on Saturdays. Glebe Fire Brigade remained staffed by volunteers in 1906. Glebe Council urged a permanent staff be appointed with a steam fire engine. Brown noted in 1906 there were always six men in the station at night and four during the day. Brown was secretary of the Central Baptist church in Bathurst Street Sydney for many years and a member of Sydney City Mission, presiding over a concert of the mission Band of Hope in 1902.